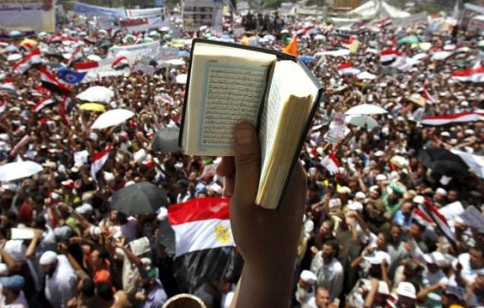 A huge bout of demonstrations erupted in most of the Arab and Muslim countries after the broadcast of an Israeli-American film which insults the Prophet Mohammed peace be upon Him. The Israeli-American film which offends the Prophet Mohammed, peace be upon Him, is not the first blasphemous action carried out by anti-Islam individuals or communities. I am sure; it would not be the last, too. 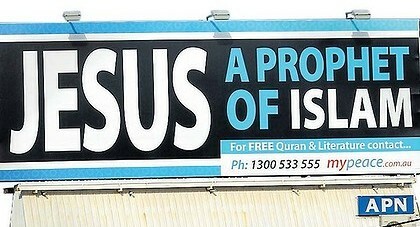 Islam is a religion that is spread among nations in a strange manner despite all campaigns aimed to discredit it. This ignites the spirit of jealousy, which turns to hostility, in the hearts of Islam’s enemies. In fact, I personally, regret the violence erupted after broadcasting the film on YouTube, and regret the unjustified attacks against innocent, be they Americans or from any other nation. But I do not exempt the West and the US the responsibility for this kind of violence for several reasons. The first reason is that the laws which these countries have that criminalise offenses against general people and general races, while they do not criminalise offenses against religions and God’s Prophets. If some people will tolerate offenses against their religion, some others will not. And the most will not. It is the nature of the human even if his religion was fake. The other reason is that such or similar incident which means an offense to about ¼ of the earth inhabitants, less or more, needs to be, at least, directly condemned by officials of the country where the incident took place. This could, and did palliate the anger of Muslims when it happened before. But the problem is that when US soldiers in Afghanistan burnt one time papers of the Mus-haf and another time tore them into piece, the US administration vowed to bring those who did the action into justice. That did not happen. Therefore, Muslims youth zealots took the action by themselves. Again, I say that I agree on peaceful demonstrations, but I disagree on killing innocents. This is opposed by our religion as the Prophet Mohammed peace be upon Him was reported saying in a sahih Hadith* that the Muslim who kills any person who has a contract with Muslims, he will not smell the fragrance of the Jannah. It means that he is absolutely going to be punished in the Hellfire. This is a capital punishment in the Muslims’ beliefs. I mean that it is not an easy action to kill the non-Muslims who live, temporarily or permanently, in the Muslim countries. Anyway, I hope that this incident will be a lesson for Muslims and non-Muslims who do not respect religions or believe in chaos to achieve justice to try change their beliefs or, at least, review them. It is the time of the mandatory tolerance among all nations as the whole world became as a small village. I am calling on those who consider them the guardians of human rights and free speech to review the laws which give a room for anyone to criticise religions. It is possible because many of the countries of those have already regulated laws that criminalise the one who denies the holocaust and some criminalise the one criticises it. So that, there is a room for regulating and enacting laws which criminalise religions and God’s Prophets. If not for respecting religions, it is for the sake of keeping on tolerance among nations as Muslims will not agree any time on any kind of insult for their religion or any of God’s Prophets. *Sahih Hadith: the speech of the Prophet Mohammed peace be upon Him which is the most approved accurate. To those blame the internal Palestinian division for their failure! A lot of the so-called politicians, writers or thinkers blame the internal Palestinian division for their failure in solving or to take part in solving, or at least suggesting something useful for the Palestinian cause. They claim that this division has delayed the Palestinian efforts in regaining their rights or wasted the return of these rights or stopped the wheel of resistance. I am asking those who raise this claim: what is your effort or what other efforts have you done to regain the Palestinian’s rights? For the Arabs and Muslims: what have you done to resolve Palestine’s cause? For Palestinians: what have they have done to regain the Palestinians’ rights? All what the Arabs and Muslims have done is concessions to the occupation, normalisation with it and you gave it more time carry out its occupation and settlement plans to strengthen itself in the land of Palestine. All what Palestinians have done is signing peace accords which recognised the right of the occupiers to live on the land of Palestine and agreed on a two-state solution with the division of the third holiest city for Muslims: Jerusalem. They also signed economic agreements in Paris that made Palestinians servants under the foot of the Israelis and beggars at their door if they wanted to claim their tax revenues or export any of their products or import anything from abroad. What shameful achievements that Palestinian negotiators and leaders of the oldest Palestinian national movement (Fatah) have achieved? They always regret their loss and blame the internal division, which they waged by the help of the International community and the occupation. What shameful achievements by the Arab leaders and the Arab League has Palestine seen? The Arab Peace Initiative which was born dead and the Arabs are begging the occupation to accept it. And the writers and thinkers who got rich for their articles and books about the Palestinian cause, who of you dare to reveal clearly what is the reason behind the internal division? Where is you patriotism?! So that, I am calling on all of you, who are weeping on the remains of those decaying achievements which have not been accepted by all real Palestinians, please and please and please, do not blame the internal division for your failure. I am telling junior and senior politicians, who are trying to market themselves by changing the facts, claiming that they are taking an objective stance please, stop this and do whatever deserved to be done for the sake of the Palestinian cause, not for the sake of your own. And I am also telling the writers who are trying to market themselves by saying that they are taking objective stances in order to find a good market for their opinions or articles, please, stop blackmailing Palestine and Palestinians’ suffering for personal interests. Please, enough and enough! Some Western countries, on top of them, the US are always asking why Arabs and Muslims hate them? I suggest that they know the answer, but ignore the real facts! No one except stupid and crazy people who do not know that the Western-style democracy brokered by the US and its allies which is being spread in the Middles East and the Islamic countries have brought destruction, death and collaborator governments. In Iraq, more than one million killed and millions of orphans so far; besides, wide-scale destruction and instability. Thousands of Afghanis were killed since 2001, daily drone killings in Pakistan. The most important issue for Arabs and Muslims is Palestine which is a part of Muslims’ faith. The so-called Israel is completely supported by the West and the US while it continues attacking Palestinians, stealing their lands for settlements, Judaizing and defiling their holy places, killing their kids, destroying their homes, detain their sons and no one from the West or the US dare to criticize it. But when the Palestinians kidnapped a soldier from his tank, the West and the US became the most defenders on him and they blacklisted Palestinians continued describing them as terrorists. When the Palestinians elected their Parliament in 2006 in the most transparent elections in the world, as described by many international monitors including for US president Jimmy Carter, the West and the US refused to recognize it and supported a punitive Israeli siege against Palestinians in the Palestinian territories. The West and US worked for dividing the Sudan, biggest Arab country, and they are still supporting the defectors to launch attacks against the mother country. With pre-meditation, genocides are being committed against Muslims as thousands have been killed and tens of hundreds of thousands have been pushed out from their homeland, but no one from the West or the US take any tangible measure. Even media blackout is being imposed. May be because these countries, especially, the US are busy in their economic problems and dealing with the outcomes of their deficits. OK, supposedly, these claims are right, who from the Muslims or Arabs has asked the West and the US to bring their devastating democracy to their countries? Who asked Mrs Clinton to go to Egypt and give a speech about human rights and religious conflicts which erected a real conflict of that kind? Who asked them to go to Iraq and get rid of the WOMD which have not been found yet? Who and who and who???!!! Who knows answers for these questions, please post them here!!! Sometimes the Bollywood reflects the fact! After the death of the Palestinian leader Yasser Arafat seven years ago, many voices called for an official and open investigation into the cause; they were ignored. Palestinian, Arabic and even international parties have been trying to keep the cause hidden or, at least, away from serious discussion. There are strong suggestions that those behind Arafat’s death were the Israelis, backed by the US, as they used to announce repeatedly and loudly that he was an obstacle to the peace process. That idea was developed after his famous stance at the second Camp David summit in 1999. The unknown factor is who helped the Israelis and Americans to assassinate the Palestinian President. It seems obvious that he must have been a Palestinian from the leader’s close coterie. Doubts surround Arafat’s successors who divided his heritage among themselves but did not follow the way that he had set out in the way he treated the Israelis; they opted for another, worse way, which is leading the Palestinians to an unknown end. Not only Fatah members or PLO factions but also all Palestinians used to ask for a public inquiry to know the reasons for Arafat’s death. The issue is still a cause of discontent among the current Palestinian leadership whose members were ready to occupy his position. Many of Arafat’s successors across the leadership promised to launch a public inquiry, but they have not done so. They did not even publish the report from the French military hospital where Arafat passed away. That created even more suspicions among Palestinian citizens and factions. Following an investigation by Aljazeera TV, it now seems almost certain that Arafat was killed by a dose of Polonium, the same radioactive substance which was used to kill the ex-Russian spy Alexander Litvinenko in London in 2006. It is not known yet who was responsible, or how this substance was administered to Arafat. Some say it was inserted through his ear, some through a poisoned kiss, and others a poisoned meal. There is a prime suspect, but he will not be named easily until a comprehensive, independent investigation has been carried out. Aljazeera’s report, broadcast on Tuesday, did not name exactly who was involved in Arafat’s death; it did, though, prove that he was killed by Polonium which must have been injected or inserted into his body by one of his close aides. For now, there are some important facts which should be made public about this issue. The first is that Mahmoud Abbas was the main tool used by Arafat’s foes to diminish his power when he was nominated to be the first Palestinian Prime Minster while the President was still alive. That was clearly against Arafat’s will, and his supporters took to the streets in massive demonstrations all over the Palestinian territories calling Abbas a collaborator with the Israelis and Americans. Those demonstrations continued until Abbas was deposed as PM. After Arafat’s death, Abbas was in control of all of his positions and somewhat miraculously became the only choice to succeed him as President, supported by all Fatah and PLO leaders. 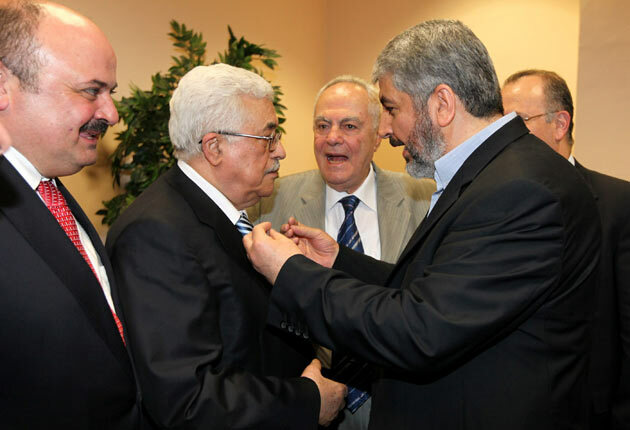 Abbas was also welcomed by the Israelis, Arab, US and other international leaders as Arafat’s logical successor and the real partner for peace in the Middle East. The fact that Mahmoud Abbas refused any kind of investigation into his predecessor’s death increases doubts about plans to keep the cause a secret. 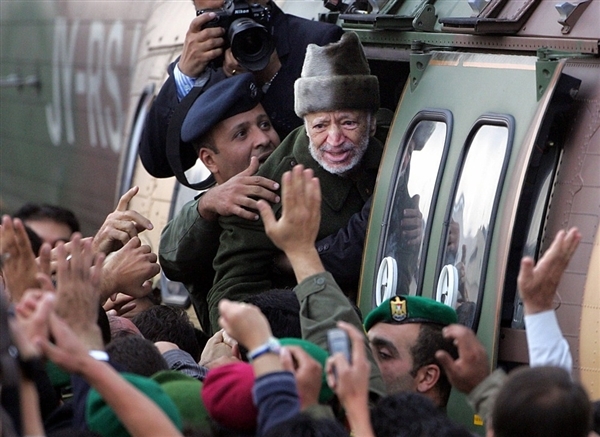 It is known that cultures from Arafat’s body were taken several days after his death to be tested in French, Jordanian and Tunisian laboratories, but they were “lost”. Even the conditions surrounding Arafat’s burial were suspicious. Sheikh Tayssit al-Tamimi, the Palestinian Mufti who led the funeral prayer, confirmed several times on different occasions that there was suspicion regarding Arafat’s death. Another important point relates to Mohammed Dahlan, who was one of the planned successors of Arafat. In a meeting in one of Gaza’s mosques in 2006, Yasser Abu-Helal, the founder of Al Ahrar Movement, declared that Dahlan had told Hamas leader Abdul Aziz al-Rantissi that his movement must take part in a campaign of incitement against Arafat in 2004 to protect him from being assassinated by the Israelis. Rantissi refused and the head of the Hamas Political Bureau, Khaled Meshaal, told a press conference that Yasser Arafat was the target of a dirty tricks campaign by Palestinian figures; he said that Hamas would not keep silent if any harm came to President Arafat. Neverthess, Yasser Arafat was killed and no formal investigations have been conducted. It is important now, following Aljazeera’s investigations, for a public inquiry to be opened by the International Criminal Court, which has the legal authority to conduct such an investigation. This is an issue of international importance, given that the peace process is still trundling on to nowhere. Palestinians need to know who has their best interests at heart, and who killed Yasser Arafat. The battle for water in Palestine has become a fight to survive as wells drain and water quality turns deadly due to Israel using water as a tool of control. Press TV in its program Remember Palestine has interviewed Mr. Motasem Dalloul, a journalist from Gaza currently in London about the state of water access and quality under the occupational control of Israel and how this is impacting Palestinian’s lives and its economy. What follows is an approximate transcript of the interview. Press TV: We saw a little bit about the crippling effects of not being able to go about ones business as you would see fit and water is being used as a vital mechanism in this thing. You are also a business man so you know about the economic effects of this. Explain a little if you will. Dalloul: I want to say something at the beginning that the founders of the Israeli state in the late 19th century thought of the issue of water as a strategic factor for their long term existence for the future..
Dalloul: Of course, they have thought of this for 100 years and during the British rule in that region they started to have franchises from the British government over some resources of water in that area. Then in 1965 before the 1967 war, the Arabs decided to build some dams in the area. Israel targeted those projects and they destroyed all of the equipment used and it has prevented the Arabs from renewing such projects until today. In the 1967 war, Israel controlled all the water resources in the area, among them the River Jordan and all the passages of that river and of several other rivers. Israel itself consumes more than 60 percent of all the underground water of the River Jordan. Compared with Jordan where most of the passage of that river passes through its soil, it consumes only 25 percent and Syria consumes 15 percent of that water. Dalloul: Yes. They want to continue controlling the people from a sensitive area. In 1995, in Tarba what was known as the Transitional State Agreement between 1995 and 1999, which should have ended in 1999, the water issue on the Palestinian and Israeli sides agreed on setting up a committee for dealing with the water issue. Press TV: The crucial thing Zayneb mentioned at the start is that the area isn’t in a state of drought. There shouldn’t be a crisis; the crisis is purely political. Dalloul: Yes. As I told you, the Israeli policy is holding the neck of the bottle of water in that area and allows only slight drops for the Palestinians and even for the other countries surrounding Israel. I want to tell you something surprising that Israel supported by the US is trying to go over the line. On 26th April 2012, it signed with a US aid organization an investment agreement to invest in agricultural projects in the countries of the River Nile passing such as Tanzania, Uganda, Rwanda. These projects are to build dams and these dams will elicit an amount of water for Egypt and for these other Arab countries. Dalloul: Yes. And what they are also doing is that they are stealing the water from the underground reserves in Sinai also. Israel has deep wells along lines between Israel and Sinai and these wells withdraw the underground from water from the Sinai so that the Bedouins there… the wells of the Bedouins… they are drained and they suffer problems for their work. This also happens with the wells of the Palestinians. Press TV: They can’t dig far enough to try and counteract…indeed. Dalloul: The depth of the Palestinian wells ranges from only 60 to 70 to a maximum of 100 meters, but the Israeli wells range from 1,500 to 2,000 meters. My uncles are farmers and before coming here they told me that their well has been drained. Before draining… the amount of saline had increased too much. Dalloul: It is a point about the daily consumption of water by the Israeli citizens. It is OK that Israeli citizens consume from 240 to 280 liters per day, but the consumption of the settlers hits 700 liters per day. Compared to the Palestinians as Zayneb said, the Palestinians have only 50 liters per day. This is half of the minimum amount decided by the World Health Organization. Press TV: In Ramallah in terms of the way in which some of these areas have been completely drained of all the resources. Sister Zeinab mentioned there that Ramallah has a rainfall equivalent to Berlin – as we know, not the driest city in the world – the West Bank is comparable to Paris. These areas should be plentiful, the economy should be able to flourish and grow. Dalloul: It should be for sure, but what the Israelis do to steal the water from the wells of the Palestinians, the Israelis have the equipment and have the political weight to dig and they don’t need licenses to dig deep wells. Press TV: What does this do to the economy because surely agricultural land is destroyed? It destroys the economy. A lot of farmers give up work because they don’t have enough water. If they have enough water, they suffer because of the poisons; it is not good for agriculture and even for manufacturing and factories. Because of the shortage of water and they need the water for industries, they sometimes give up or they don’t know what to do. The expenses of industry became high because of the high expenses being spent on water. Something important I want to mention here is that the United Nations Office for the Coordination of Humanitarian Affairs mentioned in their book some statistics, [including] that 50,000 children from the Palestinian Territories don’t have any kind of access to water; 150,000 have limited access and they give the example of a few hours every six days access to water resources. 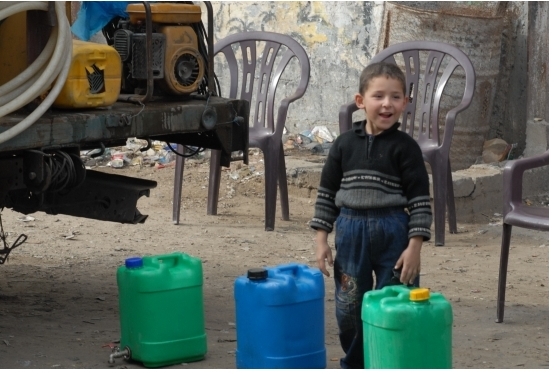 28,000 children in the Palestinian Territories in health problems related to water poisons. Is the security dossier really away from Hamas-Fateh dialogue? It was clear in all previous rounds of talks between the two Palestinian rivals Hamas and Fateh that the security dossier is the main deadlock in the way of their reconciliation. This dossier always consumes the time of their talks and, at the end, it is not resolved. Such a dossier is not difficult to be figured out, but the problem is that each of both rivals has its own view about it which it too far from the other’s. For Fateh, it sees that it is obligated by Oslo Accord signed with the Israelis in 1993, which dictates that Palestinian Authority must cooperate and coordinate with the Israelis in security issues and both Palestinian and Israeli sides exchange, discuss and agree on the names of security officers and commanders of the Palestinian security apparatuses. There must be joint security patrols. This is called by Dr Ibraheem Habeeb, a Palestinian political researcher, a problematic issue in the role of security apparatuses. In the opposite side, Hamas sees that the role of security apparatuses is to protect Palestinians’ security and confront Israeli threats against them. There mustn’t be a room for cooperation and coordination between Palestinians and Israelis in this sensitive dossier. It insists that this endangers the life of Palestinians and adds more complications to their lives. Therefore, at the time each side is stick to its view, it appears that there is no compromise regarding this dossier in the horizon. Of course, each side has its own and logical reasons for sticking to its position. For Fateh and the PA, it would encounter a number of punitive Israeli measures if it carried out any compromise on security issues agreed upon with the Israelis. It will face a ban of movement of senior officials, freeze of tax revenues on Palestinian imports collected by the Israeli customs, attacks against posts of security apparatuses and an international pressure to disown the reconciliation. Fateh cannot resist all these measures and this is clear in its history. The last example was its disownment of the results of the PLC elections in 2006 and the security chaos it created on the ground. For Hamas, it cannot compromise any of its positions towards the security dossier because it believes that it is the legal representative for Palestinians and it got this legitimacy through resistance. This position was reinforced through the PLC elections. Hamas also believes that when Palestinians elected it, it means that they elected the programme of resistance. Therefore, it highly believes that any compromise about its position towards the programme of resistance will endanger its popularity. In addition, Hamas which has not let down its weapons against the Israelis suffers from continuous detention of its affiliates by the Fateh security apparatuses which are loyal to the details of the Oslo Agreement. Hamas leaders repeatedly said that there is no reconciliation without the freedom of all its prisoners in the PA jails. However, news about positive developments in the reconciliation talks between Hamas and Fateh, but early this week, Sami abu-Zuhri, Hamas spokesman, declared explicitly that there is no reconciliation without the freedom of all Hamas members in the PA jails. The problem does not lie in the detention of prisoners in Palestinian jails, but in the details behind that, which will prove for the Israeli side that Fateh is really committed to a Palestinian reconciliation on the basis of halting cooperation and coordination in security issues. So that, the shade of the security dossier will stay the main reason which undermines intra-Palestinian reconciliation until Fateh gets rid of its security obligations towards the Israelis or Hamas laydowns its weapons. Both assumptions are impossible. This means that Palestinian reconciliation is also impossible. African migrants have been enduring serious racial discrimination in Israel, prompting Israeli writers to send a letter to the country’s Prime Minister. The signatories urged Benjamin Netanyahu to take immediate action to stop the violence, sedition, man-hunts and all other kinds of racial discrimination against Africans in Israel. Headed “Love the Stranger”, the letter called on the government to change its policies towards African migrants. A significant number of prominent Israeli authors and prize winners signed the letter, including Amos Oz, Yehuda Power, Ahino’am Nini, Mordachi Krminster and Yoram Kanyoum. 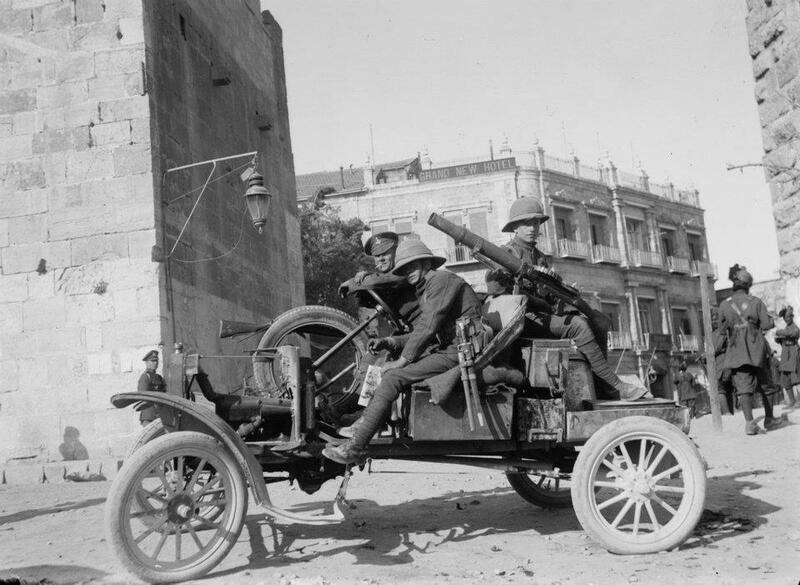 They told Israeli officials and the government that they cannot hide behind “the Israeli street”, members of the government coalition who practice sedition of the same kind as that carried out against Jews during the 1930s, and the interior minister who is responsible for “foreigners” and incites against them. Copies of the letter were sent to President Shimon Peres, Prime Minster Netanyahu, the Speaker of the Knesset, the Head of the Supreme Court and spokespersons for the various political blocs in parliament. Earlier this month, Netanyahu give what was effectively the green light for a “wave of aggression” against African workers and work-seeking migrants when he called them a “strategic danger to Israel”, and said that their flow to the country must be stopped. 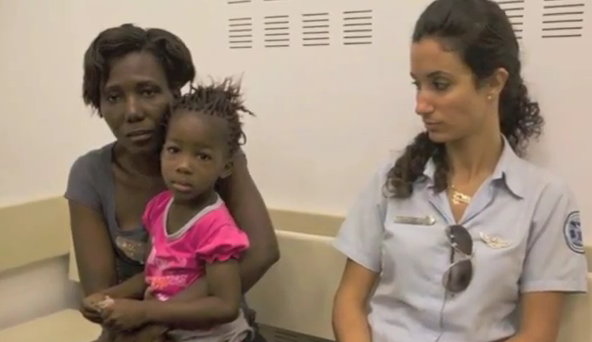 At the same time, Mari Regeve, a Knesset member for the Likud Party, described African migrants as a “cancer in the body of Israel”, while Micheal Bin Aree, a Kahane Knesset member, said that they “bring diseases and epidemics to Israel”.